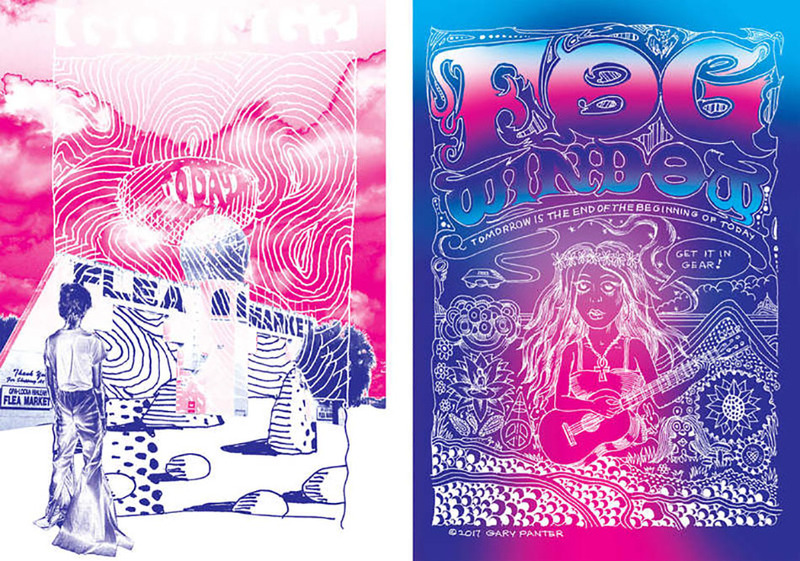 Having spent several years in California in the 1960s, I couldn’t resist…..Gary Panter ‘HIPPIE TRIP’ on view at Marlborough Contemporary to November 11. While you’re there, check out Keith Mayerson ~ My American Dream: Mystery Train (in loving memory of Daniel Tinker Knapp) also on view to November 11. Marlborough Contemporary is located at 545 West 25th Street in Chelsea. Next Next post: Celebrating The Cube in Astor Place at 50!